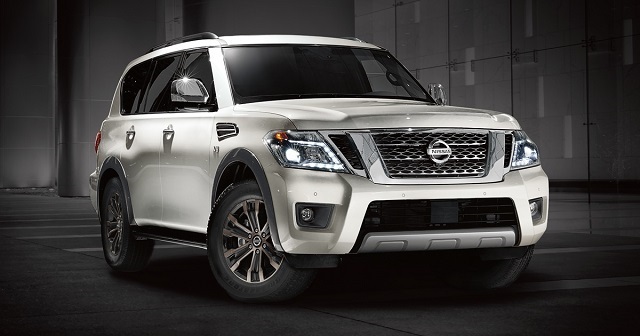 For the third year of production, 2019 Nissan Armada will most likely carry on with same design characteristics, though few novelties are possible, including a new diesel engine. This is a classic full-size SUV that has a lot of things to offer. Solid performances, roomy interior, and decent refinement are some of the strongest points. The original model came in 2003, 13 years later, the second generation finally came, so the SUV is competitive again. 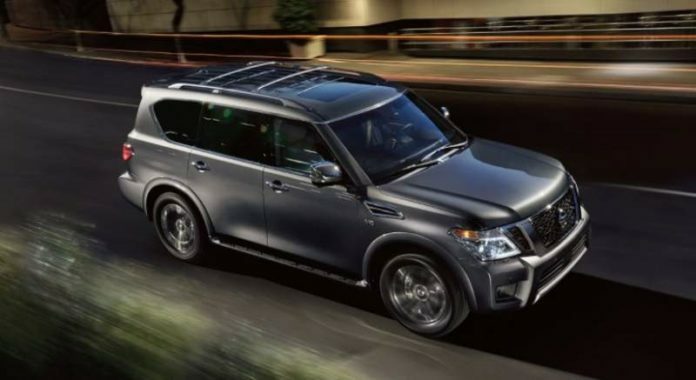 Once again, it is closely related to the legendary Patrol, as well as to more luxurious Infiniti QX80. The 2019 Armada will represent the third year of production of the current generation. If we consider production cycle of the original model, we are pretty sure that more important changes are still far away. However, there is a big chance to see one significant novelty for the next year, a new diesel engine in the offer. This is a classic full-size SUV in terms of base design characteristics. You will notice a classic boxy shape, though the company tried to break this conventional look with few curves. The base shape is similar to QX80. Still, front and rear end follow Nissan’s design philosophy, which is a bit more conventional. All in all, this SUV isn’t that pretty, but it is still far away from some non-attractive outdated styling. On the inside, everything stands pretty well. 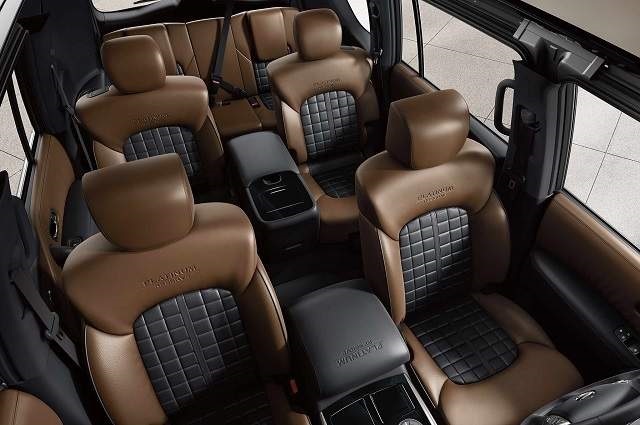 The interior design of this SUV is very attractive and leaves a hi-quality impression. You can notice a lot of curves on the dashboard, something that we can see in QX80. The general idea was to break the conventional SUV-ish design philosophy and to make this vehicle interesting to a wider range of drivers. 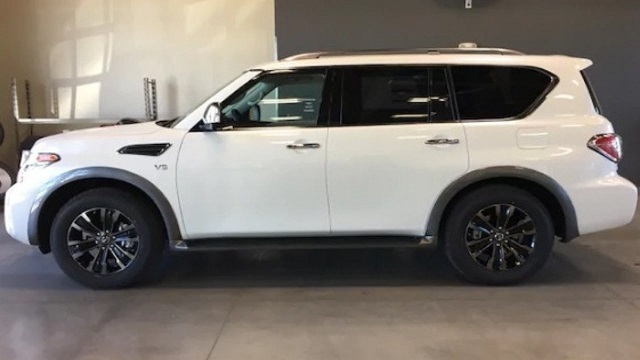 This turned out to be a very good idea and 2019 Nissan Armada will continue in the same way, offering stylish cabin with plenty of hi-tech features. The base equipment organization in 2019 Nissan Armada will be rather simple. We won’t see changes in this aspect, so there will be three versions in the offer – SV, SL, and Platinum. Of course, this doesn’t mean that there won’t be few novelties for each trim level in terms of standard features. Currently, the base SV offers things like 18-inch alloy wheels, roof rails, LED headlights, parking sensors, rearview camera, keyless entry and ignition, dual-zone climate control, leather-wrapped steering wheel etc. This list seems quite amazing, especially if we some interesting tech features like 8-inch touchscreen, Bluetooth connectivity, 13-speaker Bose audio system, USB ports etc. A mid-range SL trim includes all above. It replaces 18-inch wheels with larger wheels that feature 20 inches in diameter. Other highlights are things like leather upholstery, 360-degree camera, driver memory settings etc. Also, there is an optional Premium package with things like a sunroof, adaptive cruise control, forward and rearward emergency automatic braking, blind-spot monitoring and rear cross-traffic alert. Finally, there is a Platinum trim. This is a top-level model, which comes with standard features like heated and ventilated front seats, heated steering wheel, heated second-row seats, rear-seat entertainment system etc. There are also two optional packages – Captain Chairs and Platinum Reserve. The first one replaces the second-row bench with to bucket seats and adds a center console, armrest and similar things. On the other side, Platinum Reserve adds few interesting details to the exterior, as well as a two-color leather upholstery on the inside. At the moment, this SUV is available with only one engine. It is a familiar 5.6-liter V8 gasoline unit and we have no doubt that this capable engine will continue for the next year. 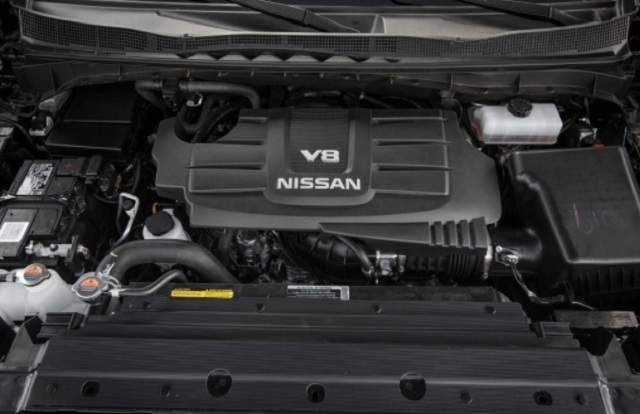 With this engine, 2019 Nissan Armada will be offering solid acceleration and great overall performances. A max output of this engine goes around 390 horsepower and 395 pound-feet of torque, which is sent through a 7-speed automatic transmission. Such amount of power is enough to provide 0-60 spring in about 6.2 seconds. On the other side, fuel economy isn’t that impressive and goes around 14 mpg in a city ride and 19 mpg on a highway. 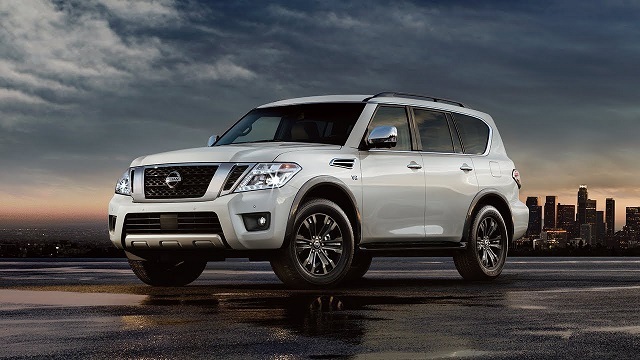 According to reliable sources, Nissan’s management is seriously considering to add one more engine in 2019 Nissan Armada’s offer. It would be a familiar 5.0-liter diesel unit, which is already in use in Titan truck. Addition of this engine shouldn’t be complicated if we consider that these two model use the same platform and feature pretty much same mechanics. Benefits should be numerous. With a better fuel economy and towing capacity, this version would definitely be far more capable. The engine has used in Titan for about two years and overall impressions on this version are highly positive. Speaking of some base specs, this engine delivers around 310 horsepower and 555 pound-feet of torque, which seems quite respectable. Despite the possible introduction of a new engine, the 2019 Nissan Armada should arrive at usual time. This means sometime late in the year. Changes in price are not expected, at least when it comes to a gasoline engine. This model goes in a range between 46.000 and 62.000 dollars. Competition in the segment is tough. There are several famous nameplates in this class, including Chevy Tahoe and Suburban, Ford Expedition, Toyota Sequoia, and GMC Yukon.